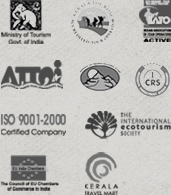 " The Best Practices in the Field of Responsible Tourism "
HOT SELLER - HONEYMOON @ INR 9,990!! Kerala tour packages: Kerala is one of the most beautiful and an attractive place of India, its beauty pull the attention of all tourist and force them to see the land in an iteration process. 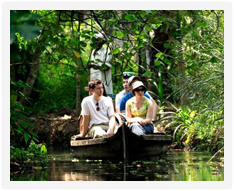 Kerala is renowned for natural beauty, traditional culture and adventure parks and much more. Here, we offer a exclusive Kerala Tour packages specially for u according to your conveniences. Kerala Tour Packages is prepared and executed to large number of tourists around the world to visit Kerala. We try to understand your requirements and interests before we customize the tour package for you. We have designed Kerala Tour Packages in such ways which brings top most attractions to the tourist. There are the amazing things of Kerala that create a unique impression on visitors. The nature lovers can also choose Kerala as tourist destination because it has flawless natural beauty in its lap. We have tastefully crafted Kerala vacation packages that beautifully introduces this southern Indian state to you. We have a experienced and dedicated people committed to give you memorable holiday packages. We had a very good trip. Thanks for the arrangements. Hotels provided to us were very good especially Kondai Lip.